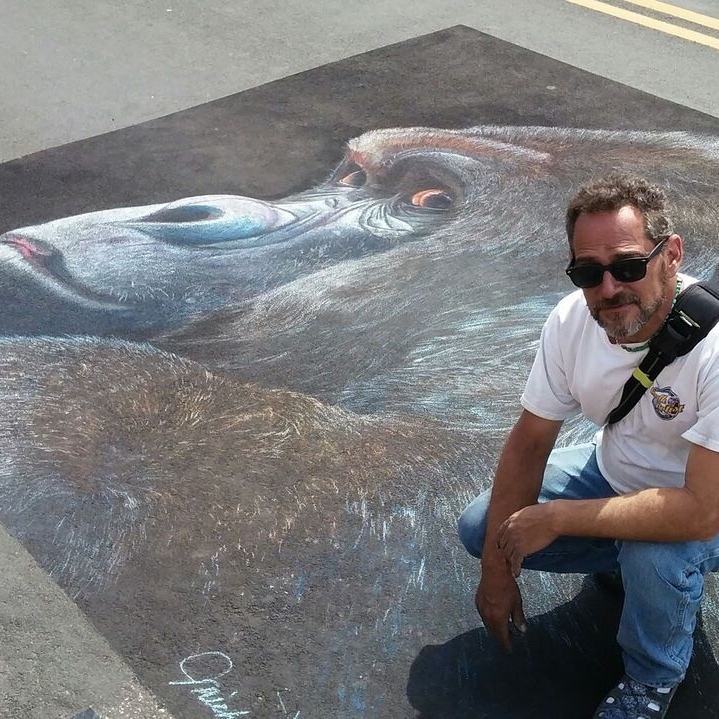 Michael Las Casas is an award winning street painter with over 23 years of experience with a wide variety of subjects; from master reproductions, animals, racing cars, vintage fighter aircraft and dinosaurs. He finds it of the utmost importance to engage the crowd & teach them a few tricks if they ask. The conversations with the children are the most rewarding and sometimes down right comical. -"There’s nothing like listening to a five year old telling you how great an artist they are as well!" 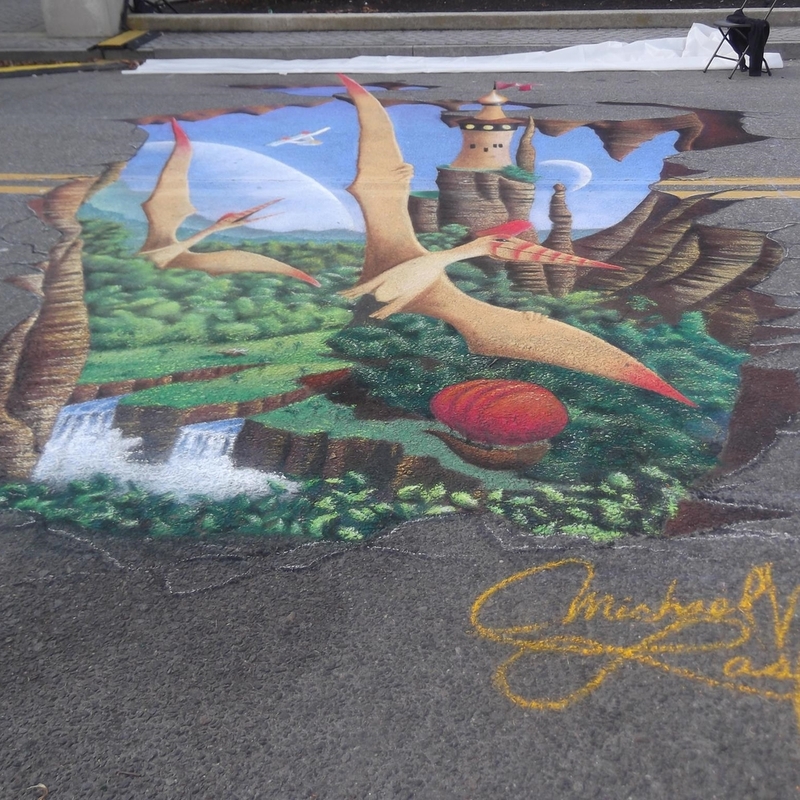 Michael's professional experiences go beyond street painting, including 30+ years as a graphic designer and fine artist; which he studied at the University of Wisconsin. 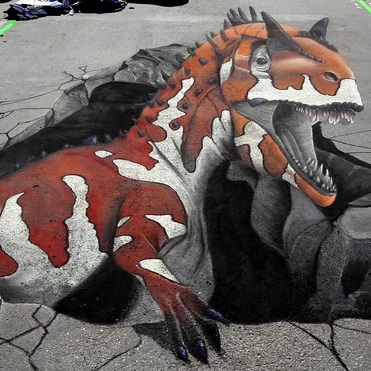 He also teaches art at a local art center for the community, and in his “spare time” he paints murals and is also a Master Modeler, and sometimes builds to create some of his street paintings. 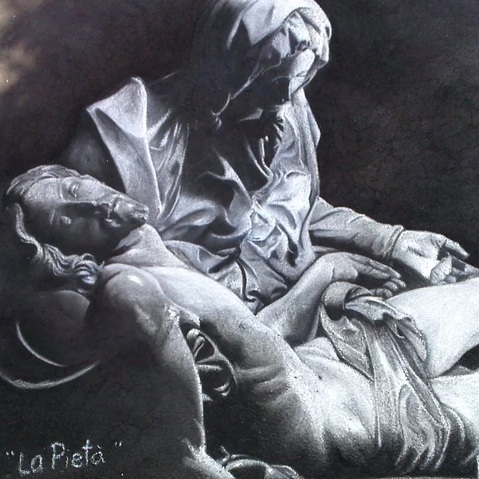 Of all the “art” venues he has participated in his life, to him, there is little that compares to “chalking” and the opportunities that are afforded to see new places. He has met and made so many wonderful new friends from around the world. He can’t think of anything else he would rather do.